Quartz or silica is composed of silicon (Si) and oxygen (O), the two most abundant elements in the crust of the Earth (with \(SiO_2\) chemical formula). When quartz is pure in composition, it is entirely devoid of color and almost water-clean in its limpidity. It is this kind which, when first time discovered in Alps, was believed to be a form of frozen water and therefore called crystal. Quartz comes in a vast array of colors and shapes (when in crystals), and the cryptocrystalline varieties offer an almost endless spectrum of color and patterns. The crystalline varieties are those that occur in distinct, visible crystals: ame­thyst, smoky quartz, citrine, rose quartz, and milky quartz. The color origins in crystalline quartz are complex and are only now beginning to be fully understood. The colored, crystalline quartz varieties generally occur in pegmatites and veins, having been deposited from water solutions over a long period of time. As a result of slow crystal growth, many such crystals achieve great internal perfection and yield enormous pieces of faceting rough. The only color varieties that do not form such large crystals are amethyst and rose quartz. 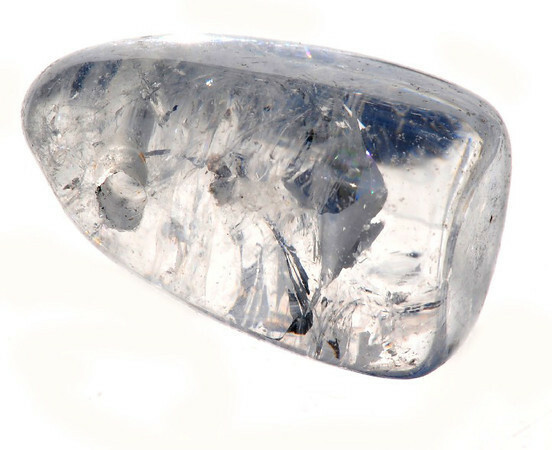 Rock Crystal: Used in faceted gems, beads, carving, decorative objects, and lamps. The material is common and has little intrinsic value, except in very large, flawless pieces. There are many types of mineral inclusions known. The name Rock crystal is from the Greek krystallos, mean­ing ice, because the Greeks thought it was ice frozen forever hard by an unnatural frost created by the gods.Occurrence: Hot Springs, Arkansas; Herkimer New York; Swiss Alps; Minus Gerais, Brazil; Japan; Madagascar; New South Wales, Australia; Upper Burma; Canada. 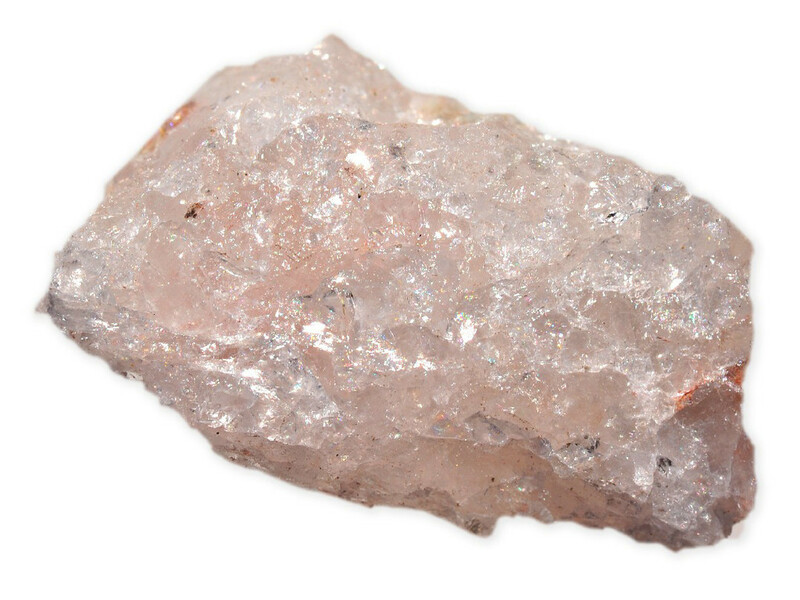 Milky Quartz: The milkiness is due to myriad tiny cavities and bubbles filled with \(CO_2\) or water. 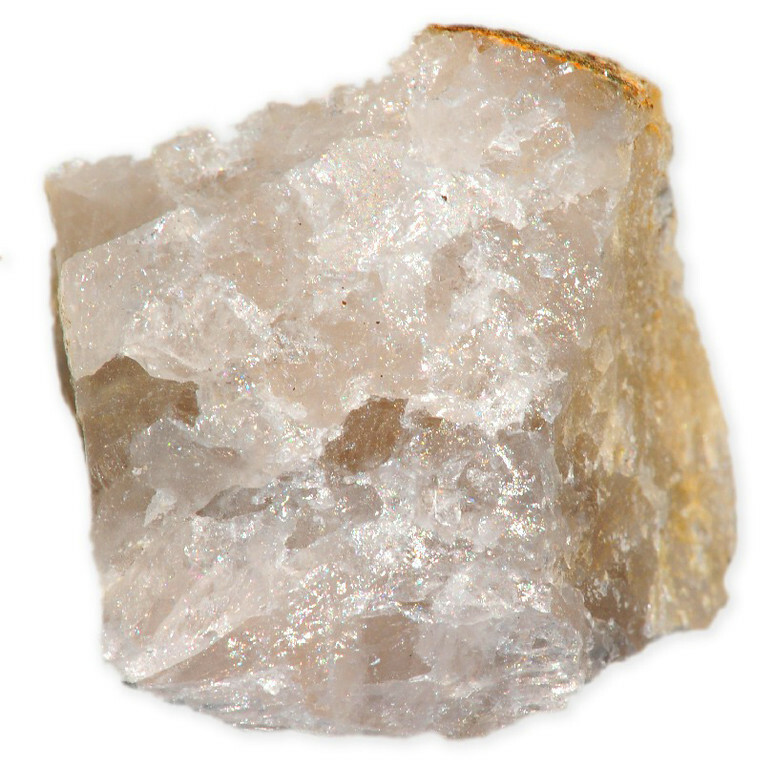 Vein quartz is often white and frequently contains gold. 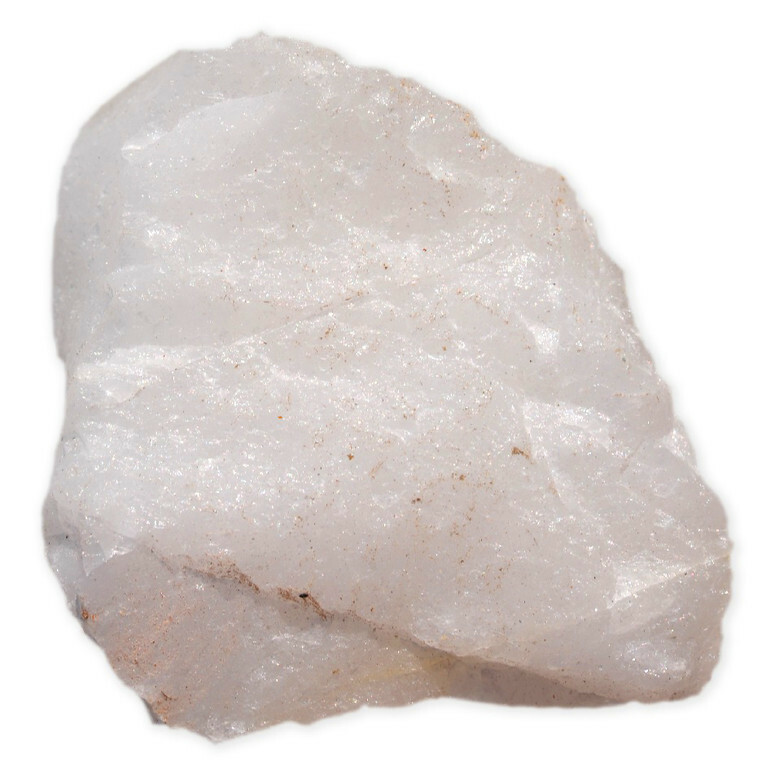 This quartz is little used in gems, except cabs with milky quartz and yellow gold specks. Occurrence: California; Colorado. Brown Quartz: The variety called smoky quartz is pale beige, tan, brown, or deep brown in color. Very dark brown material is known as either morion or cairngorm, the latter from the locality in the Cairngorm Mountains, Scotland. The color appears to be caused by natural radioactivity. Occurrence: Minas Gerais, Brazil; Scotland; Madagascar; Switzerland; Korea; California; North Carolina. Amethyst: Amethyst is violet or purple quartz, The lightest color, a pale lilac shade, is known as Rose of France. The deepest color, especially with flashes of red against a purple background, is referred to as Siberian. The term today usually implies a color rather than a locality. The name amethyst is from the Greek atnethystos, meaning not drunken because the Greeks believed imbib­ing from an amethyst cup would prevent intoxication. Occurrence: Brazil; Zambia; USSR; Namibia; Australia; Nigeria; India; Uruguay; Mexico; Arizona; North Carolina. Inclusions: Prismatic crystals and negative cavities, thumbprint marks, so-called rippled fractures, and twin­ning lines. Transparent green quartz is produced by heating cer­tain types of amethyst. Amethyst-citrine: This material, also known as ametrine, trystine, and so forth, was originally reported from Rio Grande do Sul, Brazil, but later was shown to occur in Bolivia. Cut gems display both violet and yellow colors, sometimes in a striking zonal pattern, corresponding to rhombohedral growth regions. Heat treatment of both natural and synthetic amethyst can produce similarly colored material, and such stones are indistinguishable from natural ones. 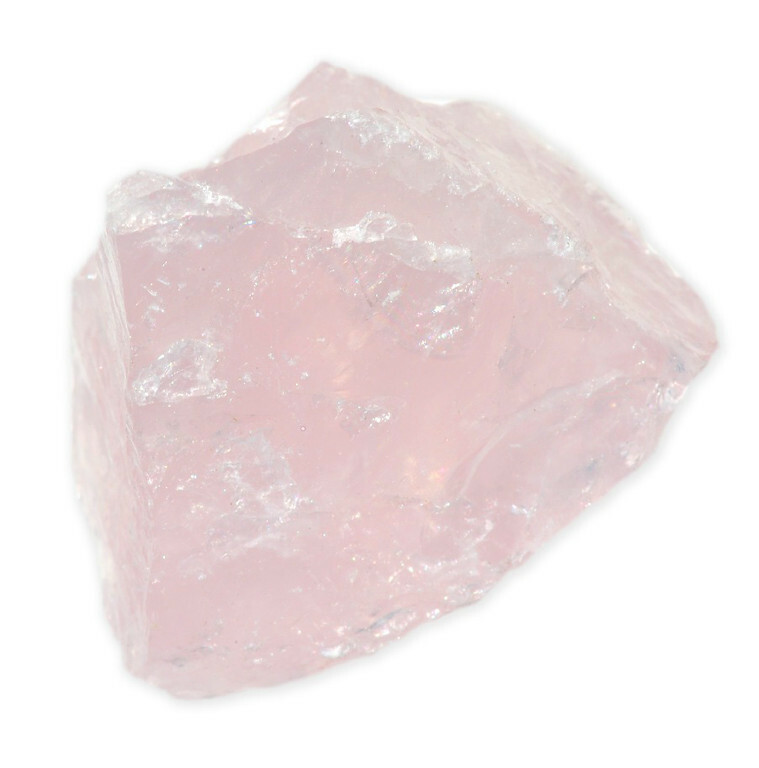 Rose Quartz: As its name implies, the color of this variety is pink or (rarely) rose-red. This is due to presence of manganese. The material is nearly always cloudy or translucent, rarely transparent. It is mainly used in cabochons, carvings, and decorative objects. Microscopic rutile needles may create a star effect (asterism is commonly present). 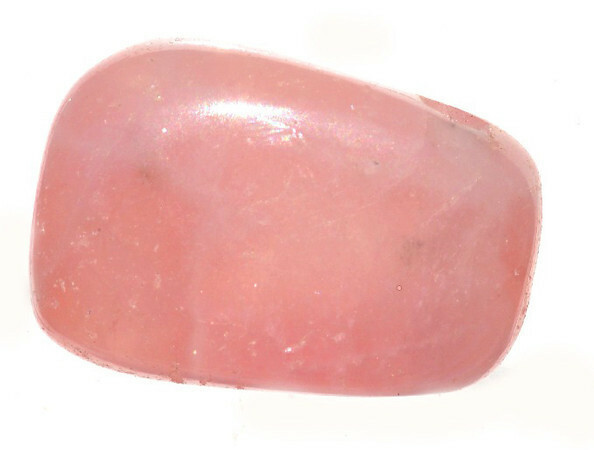 Care should be taken when using rose quartz in jewelry as this stone easily loses its color on exposure to strong sunlight. Occurrence: Maine; South Dakota; New York; Brazil; Madagascar; India; Japan; Namibia; USSR. 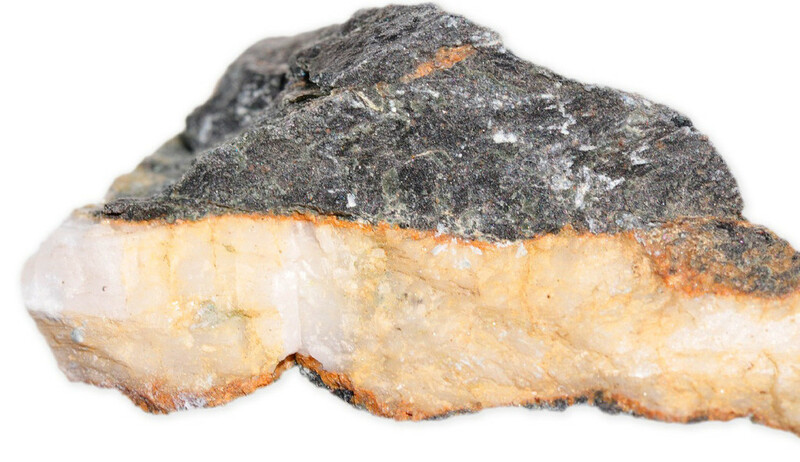 Quartzite: A rock made up of tightly packed quartz grains, formed at high temperature and pressure, due to metamorphism. 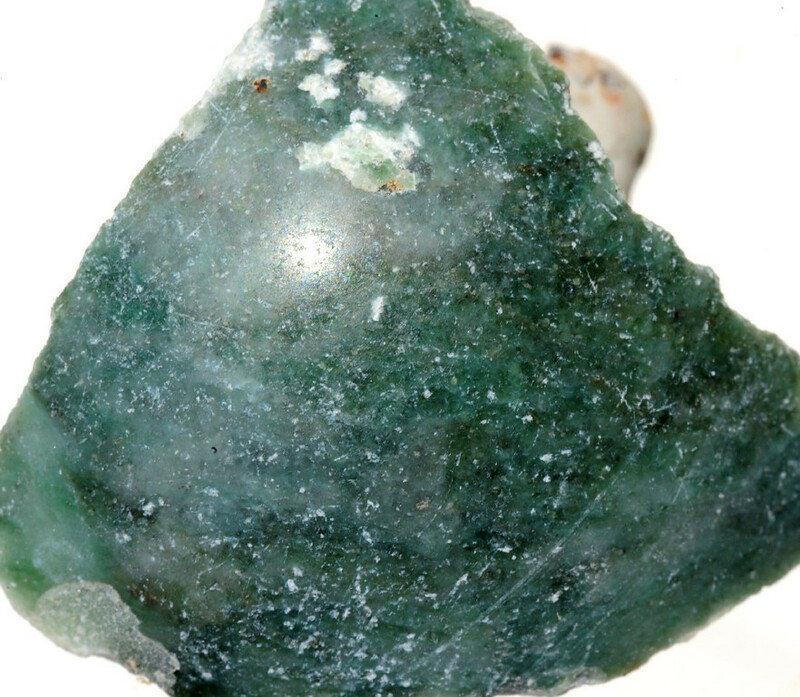 Sometimes it contains small crystals that reflect light, and this material is called aventurine. Usu­ally the included crystals are a green, chrome-rich mica called fuchsite. Other micas that may form aventurine include gray varieties or brown types (from Chile). The density is usually 2.64-2.69. Occurrence: Spain; USSR; India; Chile. Dumortierite Quartz: A dense, deep blue to violet material made up of crystalline quartz colored by dumor­tierite, a complex borosilicate. Cryptocrystalline quartz varieties are colored chiefly by mineral impurities in the growth environment, including oxides of Fe, Mn, Ti, Cr, Ni, and other elements. They form either as gelatinous masses that slowly dehydrate and crystallize or by deposition from slowly percolating groundwaters, depositing silica over a long period of time. This latter type of deposition results in banding that is seen in certain types of agate. Deposition within a spherical cavity, such as a gas pocket in basalt or other volcanic rock, results in concentric banding also seen in agates. Cryptocrystalline quartz varieties offer a huge diver­sity of patterns and colors. The most generally wide­spread of these materials is composed of tiny fibers of silica and is known as chalcedony. Names within the cryptocrystalline quartz family are generally based on colors and patterns. 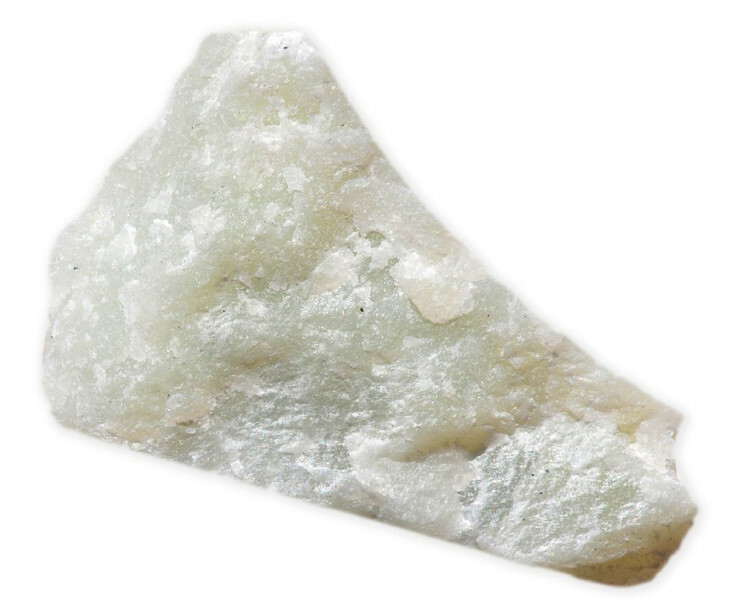 The solid-colored materials are mostly chalcedony stained by oxides and are referred to as jaspers. Banded varieties, or materials with mosslike inclusions, are known as agate. Chalcedony: Unstained material often grayish blue, compact form of silica. Occurrence: India; USSR; Iceland; Mexico; California. 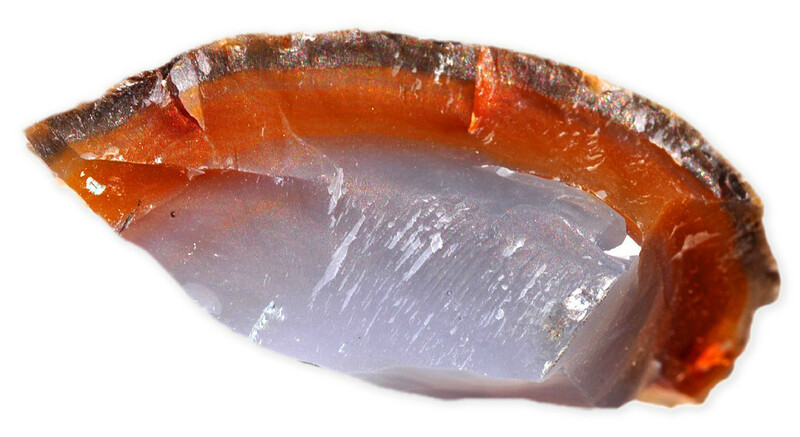 A purple-colored chalcedony from Arizona has been marketed under the trade name damsonite. The material occurs in veins and blocks up to 1 m thick, with masses over 100 kg recovered. 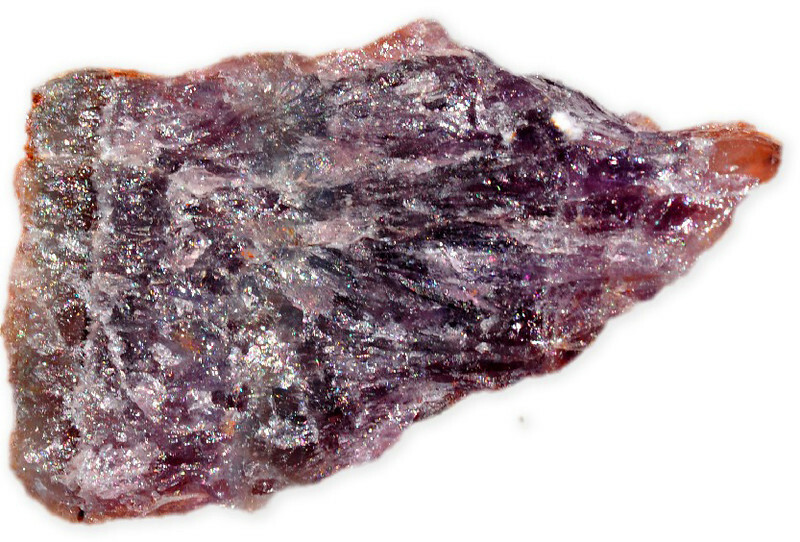 Properties are normal for chal­cedony (R.I. = 1.54, S.G. — 2.61), and coloration appears to be the same as that for amethyst. Carnelian: Translucent to semiopaque, red, orange-red, or brownish chalcedony. The color is due to iron oxide. Almost any chalcedony can be turned red by heating in an oven since it contains finely disseminated iron compounds that are oxidized by heating. Occurrence: Brazil; Uruguay; Egypt; India. 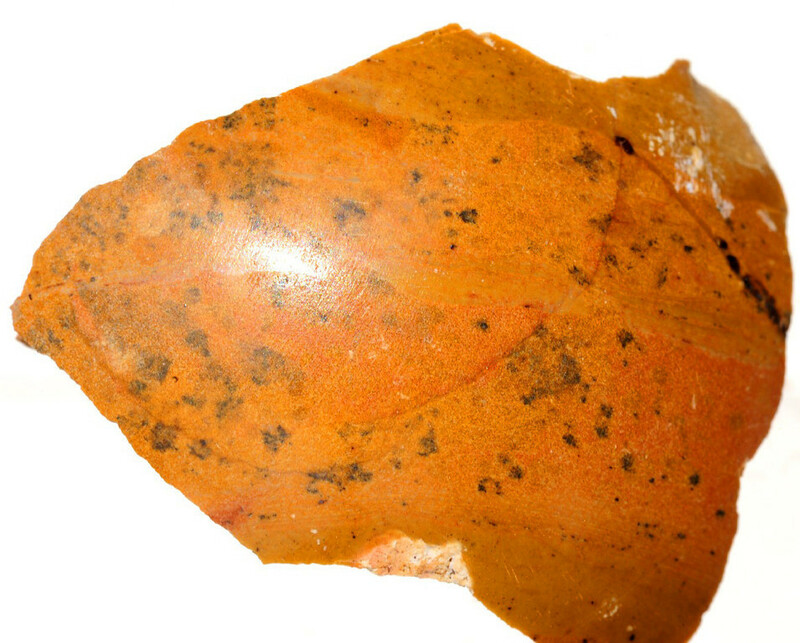 Sard: Similar to carnelian, sard is more brownish in color and more opaque. Occurrence: Brazil; Uruguay. 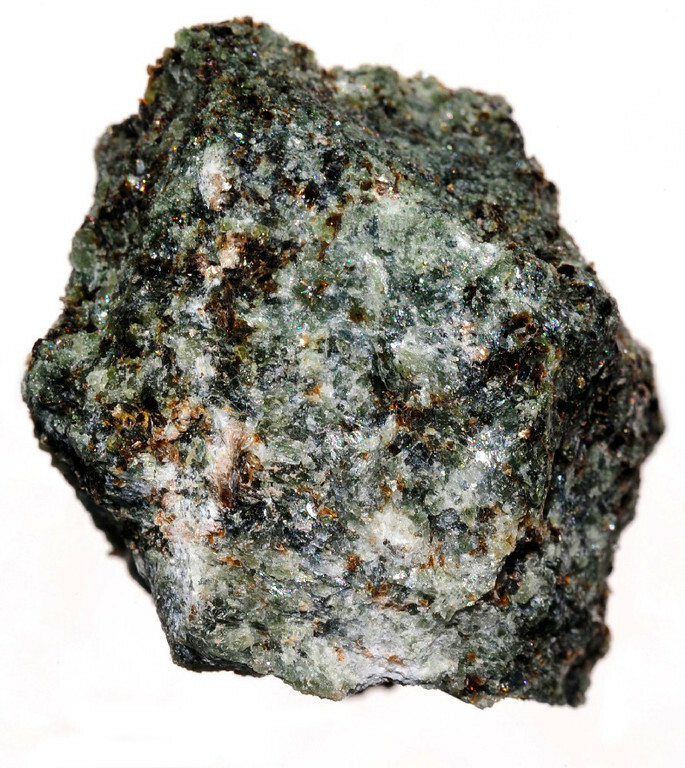 Plasma: Deep green; opaque due to densely packed actinolite crystals. Prase: Green or yellowish green chalcedony. Bloodstone: Also known as heliotrope, consists of dark green plasma with blood-red and orange spots of iron oxides. Occurrence: India; Brazil; Australia; United States. Onyx: Banded black and white chalcedony. Sardonyx: Banded onyx, with red and white layers. Chrysoprase: Translucent green chalcedony colored by nickel. May resemble fine jade. Occurrence: Western Australia (Yandramindra, Wingelina, Kalgoorlie); USSR; Brazil; California. 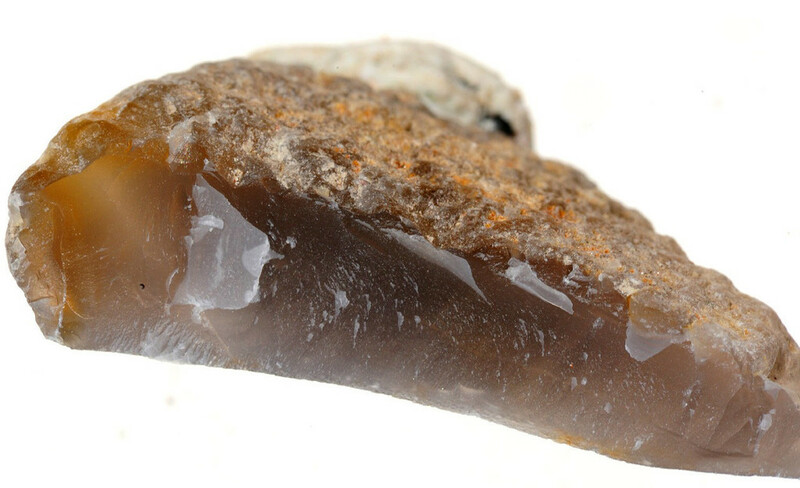 Flint and Chert: Opaque, dull gray, or whitish chal­cedony, very compact and hard. Agate: Usually takes the form of colored layers or ) ands, flat or concentric. Also mossy or dendritic inclu­sions, sometimes creating the impression of landscapes, vegetation, and, so forth. Banded agates have regular color layers and bright colors. The MOSS agates have mossy inclusions of mineral oxides. Scenic agates have inclusions that look like pictures of scenery, with lakes, shorelines, trees, and shrubs. Lace agate is banded with intricate swirls and loops. Fire agate has platy crystals of iron oxide layered with chalcedony, resulting in irides­cence brought out by cutting and polishing. Shell agate is patterned by silicified shells in the rock. Tu•ritella agate is composed mostly of shells and shell fragments of the gastropod Tirrritella and certain other species. Occurrence: Moss agates are from India, Scotland, and the northwestern United States. Scenic agates are from Yellowstone National Park, Wyoming and Montana. Banded agate is from Brazil, Uruguay, Madagascar; Mex­ico, and the United States. 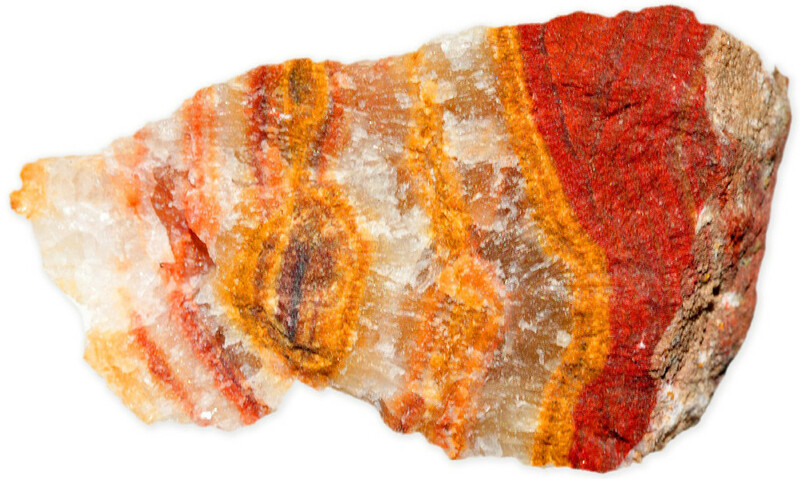 Lace agate is from Mexico, Arizona, and Namibia (blue). Fire agate is from Mexico. 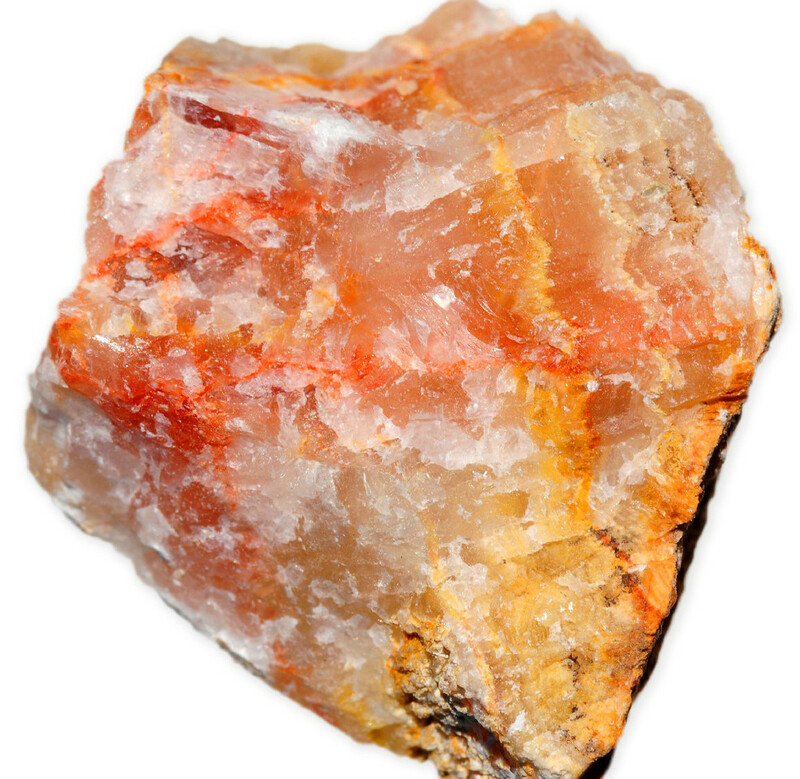 Jasper: Usually a mass of tiny silica crystals pigmented by impurities. The colors may be very strong, especially shades of brown, yellow, red, and green. 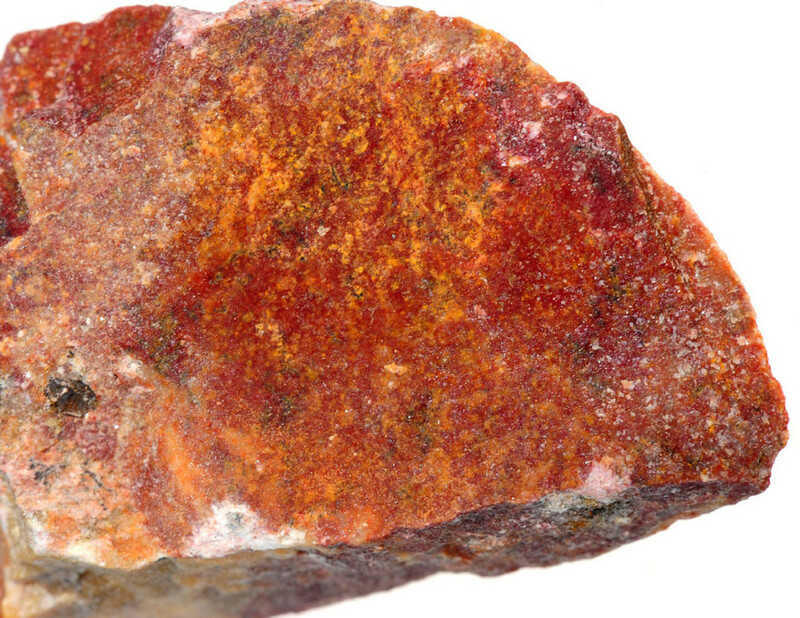 Jasper occurs worldwide. Orbicular jasper has spherules of banded agate in a jasper matrix. Scenic or picture jaspers have fanciful patterns that may resemble scenery, such as ocean waves, shores, and rolling hills. Occurrence: Ore­gon; Idaho; Utah; Montana; Wyoming. Chrysocolla in Quartz: A tough, siliceous material consisting of blue chrysocolla in fine particles dissemi­nated in silica, to produce a rich blue, hard material that takes an excellent polish. Occurrence: Arizona; New Mexico; Mexico. Petrified Wood: Colorful agate that has replaced tree trunks and limbs; the woody structure is preserved in many cases and can be seen with a microscope. The colors may be very bright and strong. Occurrence: Ari­zona; New Mexico; California; Washington; Oregon; various European countries; many other localities. Dinosaur Bone: Silicified dinosaur bone! It has a lovely brownish color and interesting pattern. Occurrence: Colorado; Wyoming; Utah. Other colors include red, pink, blue, purple, green, orange, etc.